I’m forever on the lookout for new graphic novels. The kids just love them. Amulet is the most loved and anything by Raina Telgemeier is also very popular. Here are three new graphic novels that I enjoyed. 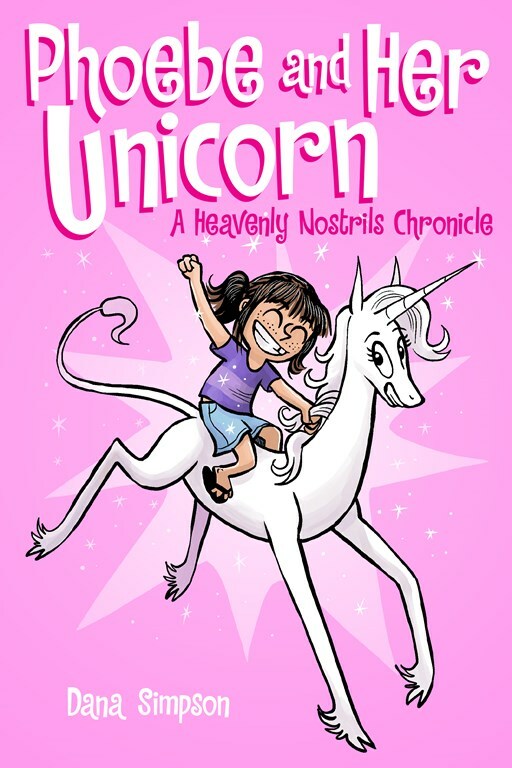 When Phoebe accidentally rescues a vain unicorn, she is granted one wish. What does Phoebe wish for? That the unicorn become her best friend. Hilarious and sweet. Refreshing to read a unicorn story that is not nauseatingly cute and prissy. Two in the series. 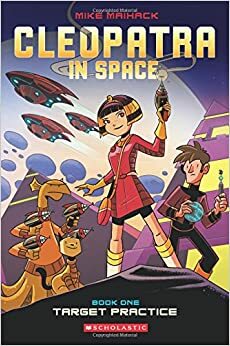 Another strong girl character, Cleopatra time travels to the future to help defend her civilization of the past. She’s adventurous, curious, and a fighter. Two in the series. 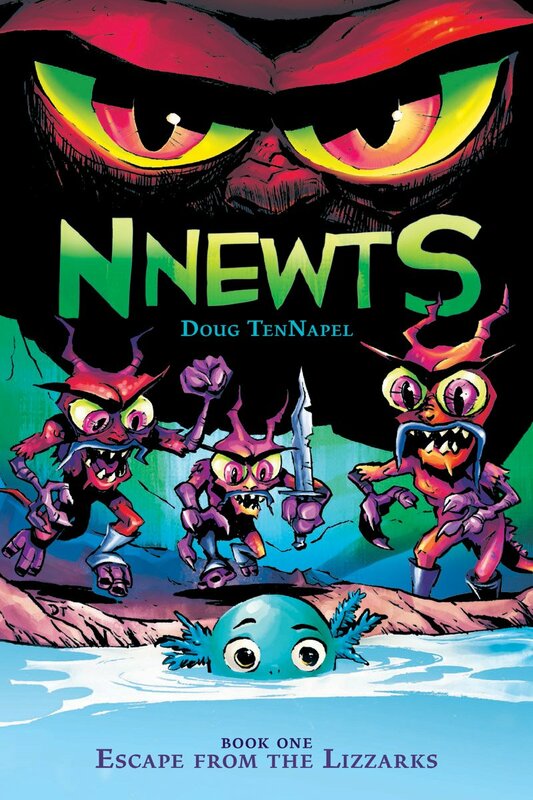 Doug TenNapel‘s latest book and first in a new series, Nnewts, is about young Herk who must escape when Llizards attack his family and village.